Welcome to Dogtails, Crawley’s premier grooming salon with over 70 great reviews on Facebook and Google. 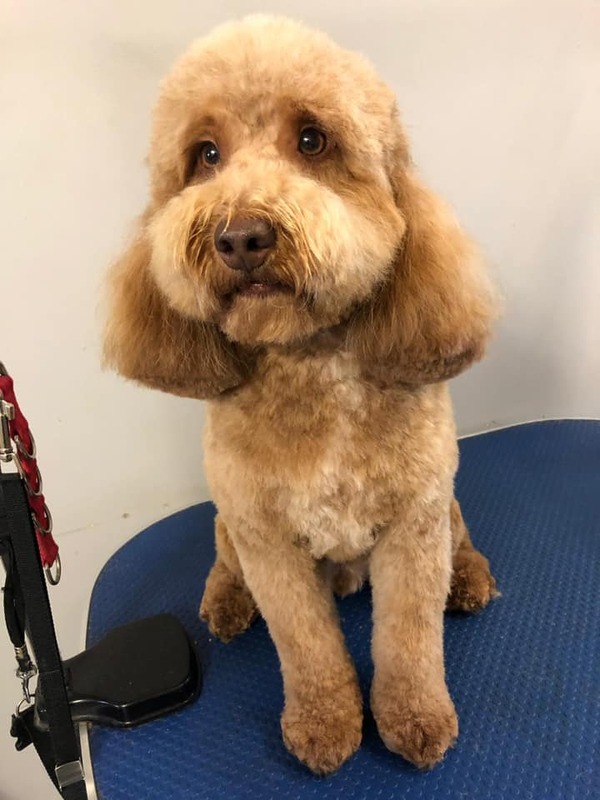 Dogtails started life in a garden shed and through sheer hard work and determination has become a Crawley premier dog groomers and a flourishing family business. So successful, DogTails now employs the finest talent in dog grooming and in 2014 moved a purpose built dog groomers saloon in Three Bridges. 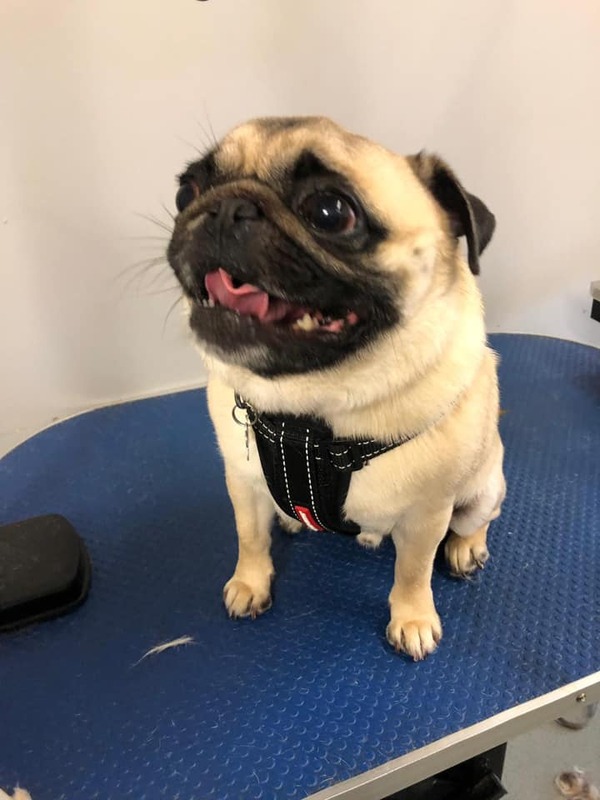 Whilst our dog grooming is done in a purpose built room behind reception, our shop is dedicated to providing a vast selection of raw dog food and accessories. We stock the UKs leading raw dog food suppliers, including, Natural Instinct, Albion, Benyfit Natural, Miro and Makauri, Ancol, Stinky Stuff and many many more. Vicky started Dogtails from her garden shed in 2009 and pursued a dream and opened her own dog grooming business. Dogtails moved into it’s current location in 2014. She owns two Tibetan Terriers and if not at the shop dog grooming she is probably trying to keep up with them around one of the local parks! Vicky noticed a huge difference in dogs fed on raw dog food from those fed on a standard kibble diet and educated herself on natural nutrition for dogs. Dogtails raw food is now a flourishing business itself and Vicky is always keen to promote health and well being and share her knowledge with anyone willing to listen. Emily owns Bambi, a four-year-old Chihuahua who often sneaks into the shop behind her in the morning. Bambi is a rescue so please say hi from a distance. She is much friendlier with other dogs than humans. 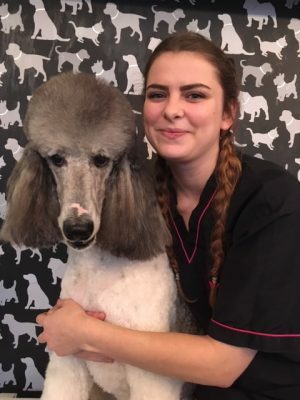 Emily trained as an apprentice dog groomers within DogTails, before working her way up to her current managerial status at Dogtails. She keeps the dog grooming room running smoothly with super organisational skills and her friendly smile. Mel can be a little shy (unless she’s had a drink) but has an amazing talent for dog grooming. 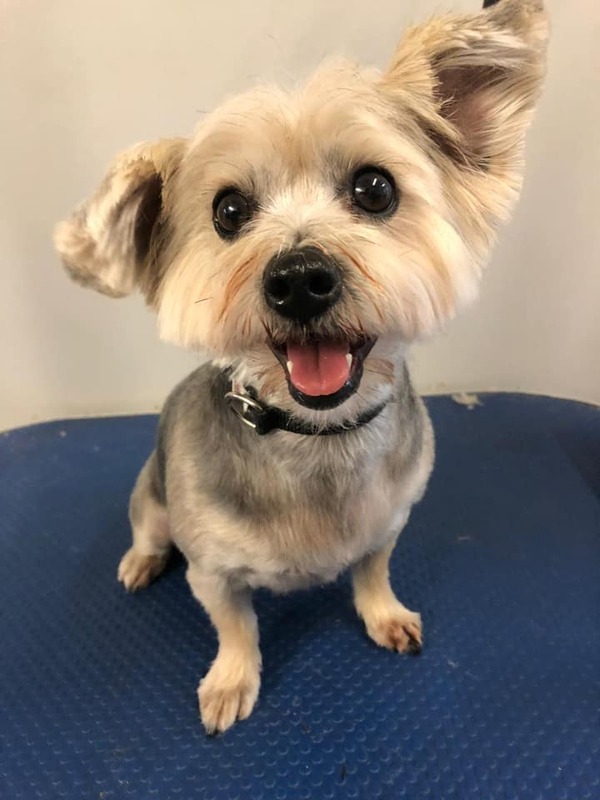 She trained as a dog groomer straight from school and has worked in two busy salons before having her son Casey and has been at Dogtails part time for over three years. 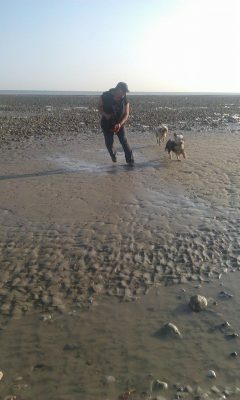 Mel has three dogs, a Cavalier, a Schnauzer and a Cavalier x Shnauzer (ahem!!). Mel is only little so just grooms our smaller client dogs or very well behaved big ones! Katie is currently working towards City and Guilds qualifications. She worked in a Crawley kennels for many years (with Vicky for a bit) and has a vast knowledge of dog behaviour and training. 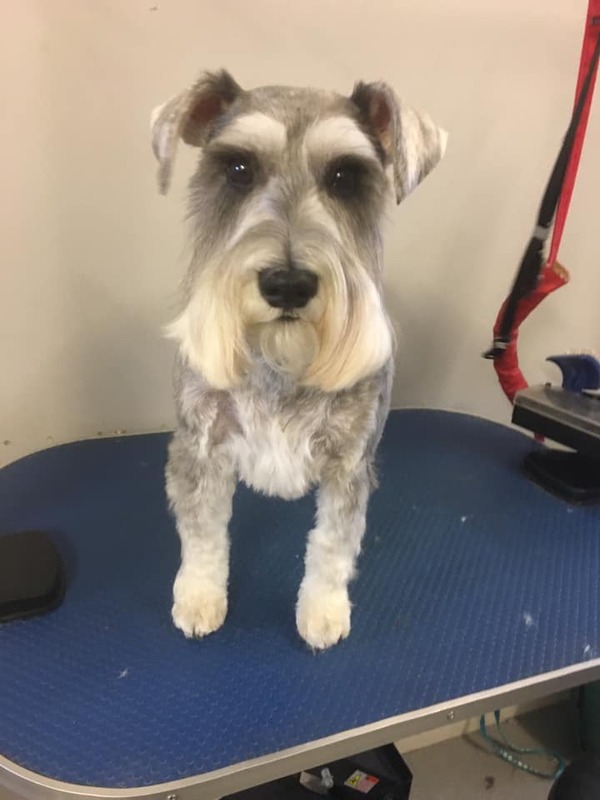 She has been training as a dog groomer with us for a year and will hopefully be taking qualifications during 2019/2020. 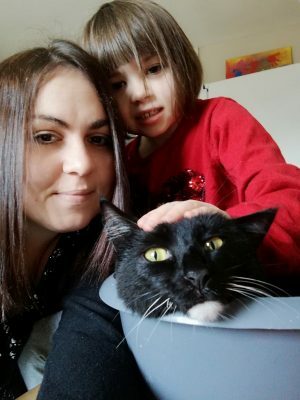 Katie’s favourite person is her daughter Miley and she has a cat called Rocco and another kitten coming soon! 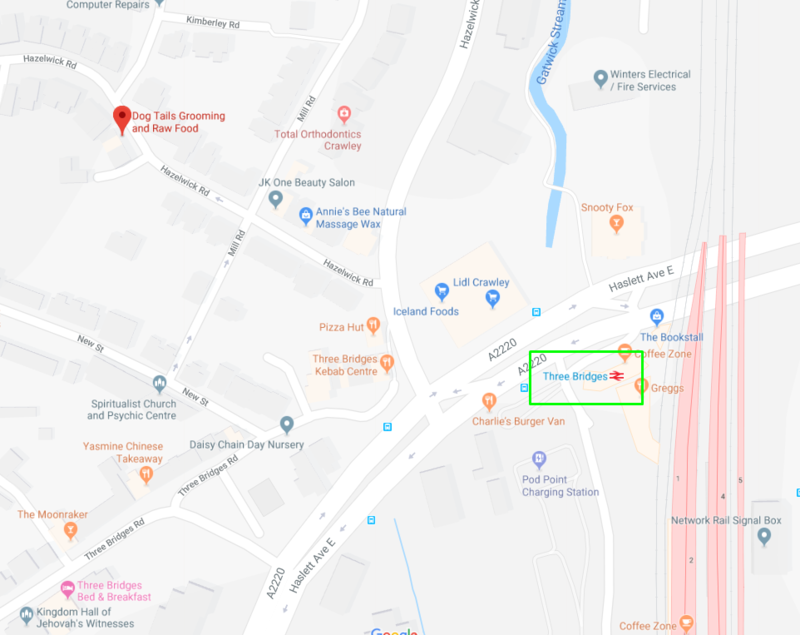 54b Hazelwick Road, Three Bridges, Crawley, West Sussex. RH10 1LZ. We consider ourselves Crawley’s premier dog grooming salon. We have over 40 years of combined experience in the care and well being of a dog’s skin and coat. We believe the answer to a healthy dog and a shiny coat is through regular grooming and feeding an all-natural diet. We combine our expertise in both grooming and nutrition to give a first class service to you and your best friend.